Journey to a galaxy far, far away with Rey, Finn, BB-8, Kylo Ren, Han Solo and other heroes and villains in the brand new LEGO® Star Wars: The Force Awakens. Stand against the First Order in action packed, iconic scenes from the latest instalment of the Star Wars saga, and enjoy exclusive playable content that bridges the gap between Star Wars Episode VI: Return of the Jedi and Star Wars: The Force Awakens. Experience for the first time the new Multi-Build feature and duck and cover in the thrilling new Blaster Battle game mode. Buy a 1TB PS4 system, a physical copy of the LEGO Star Wars: The Force Awakens video game and a Blu-ray Disc copy of Star Wars: The Force Awakens movie. By now many of you have probably explored the galaxy far, far away that is LEGO Star Wars: The Force Awakens (if you haven’t, then what are you waiting for?!). One of the lingering questions I’m sure you’ve had is… what’s the deal with C-3PO’s red arm? Wait no longer. The Phantom Limb Level Pack […] The post LEGO Star Wars: The Force Awakens’ Phantom Limb DLC is out today appeared first on PlayStation.Blog.Europe. Alongside the galaxy of features within Lego Star Wars: The Force Awakens, we’re pleased to report that PlayStation 4 and PlayStation 3 players will also be receiving some free DLC content with the exclusive Droids Character Pack coming right at launch on 28th June, featuring a host of Droids from across the Star Wars galaxy. 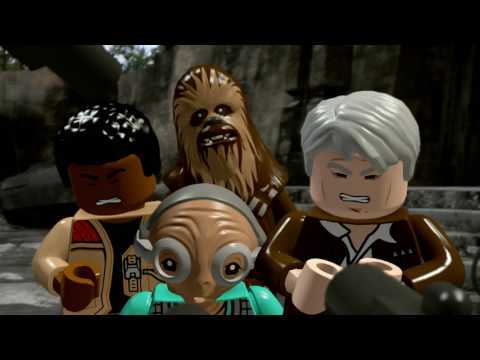 […] The post Lego Star Wars: The Force Awakens gets PlayStation-exclusive DLC at launch appeared first on PlayStation.Blog.Europe. What are you waiting for? Go grab the LEGO Star Wars: The Force Awakens Demo and enjoy a tantalizing taste of the action that launches 28th June! It’s available exclusively for PS4 players right now, so head over to PlayStation Store and check it out. 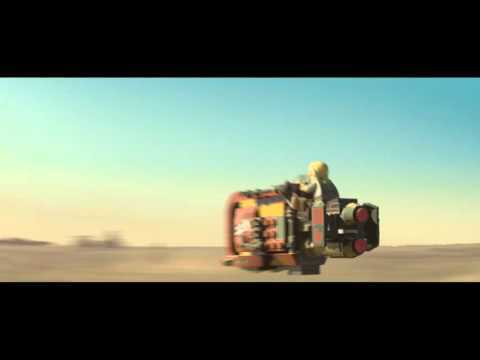 The Niima Outpost Demo lets players relive the escape from […] The post Play the LEGO Star Wars: The Force Awakens demo on PS4 right now appeared first on PlayStation.Blog.Europe. I’m pleased to confirm that an exclusive LEGO Star Wars: The Force Awakens bundle will be available in selected shops across the region from 28th June. The bundle comes complete with a 1TB PS4, a black DUALSHOCK 4 wireless controller, a physical copy of the LEGO Star Wars: The Force Awakens video game and a […] The post LEGO Star Wars: The Force Awakens PS4 bundle coming 28th June appeared first on PlayStation.Blog.Europe.